Here is a list of the largest dog breeds in the world! Big dogs are certainly not for everyone. If you happen to choose one of these breeds as a pet, please keep them active and fat-free. Giant breed dogs are susceptible to a condition known as bloat, which involves gas buildup and possible twisting of the stomach. Bigger is not always better, but it is always impressive. 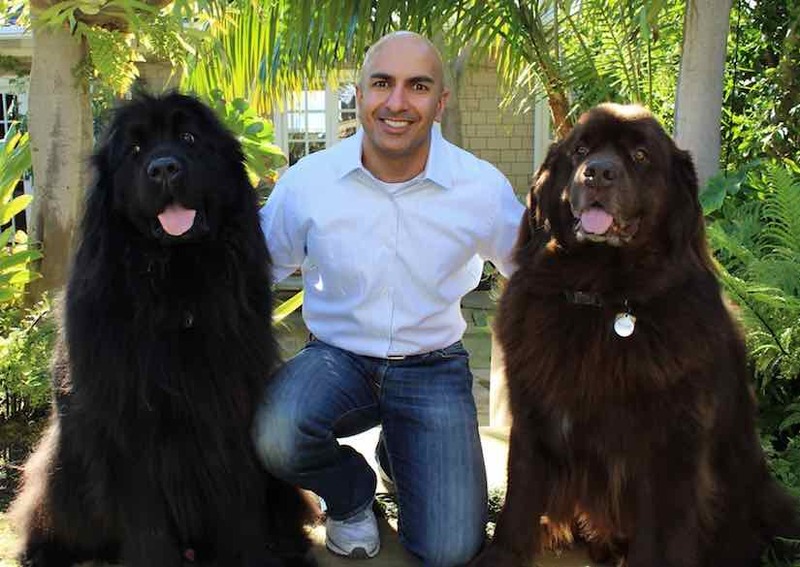 Growing to a height of 30 inches or more, these dogs can weigh as much as 250 pounds! 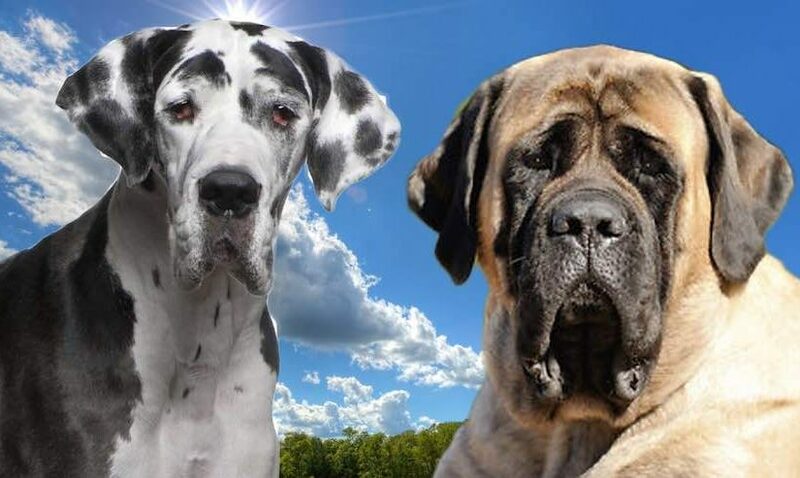 A Great Dane holds the record for the tallest dog in the world and an English mastiff holds the record for the heaviest dog. 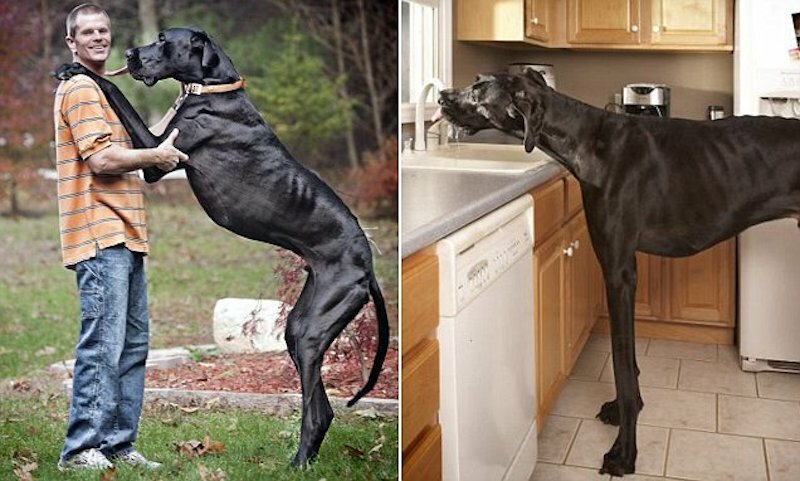 The tallest dog in the world, named Zeus, a Great Dane, was 112cm at the shoulder and 7ft4in on his hind legs. If there are any large dogs that are well known in the world, Zorba is probably one of them. Zorba is an English Mastiff from the UK that made the Guinness Book of World Records because of her massive size. 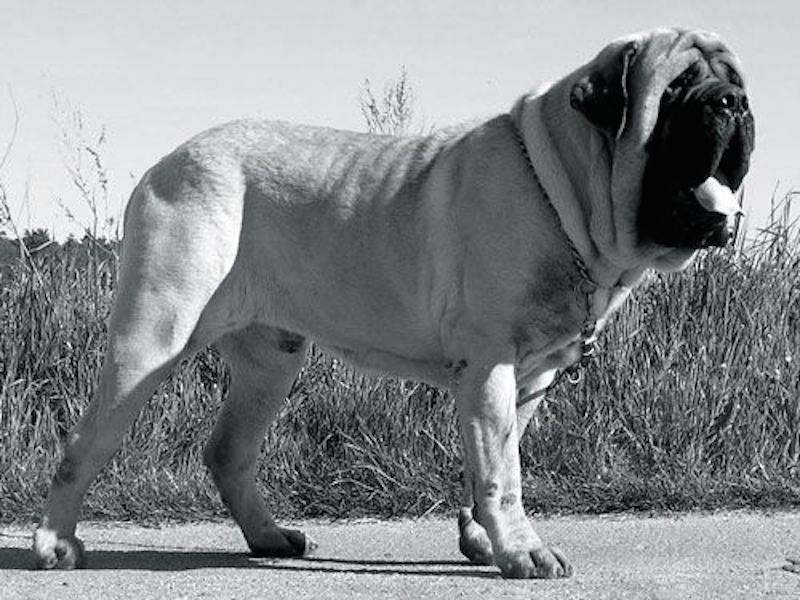 The heaviest dog in the world, named Zorba, was an English mastiff who weighed in at 343 pounds. The Old English Mastiff is an extra large breed of dog with an excellent reputation from those who know of them. Many people are not familiar with the Mastiff breed until they read about one of them being in the Guinness Book of World Records. They are a dog of great courage and dignity that walk with a sense of a look of grandeur. They are good natured, calm, easygoing with a great sense of humor. Not only do adults love them, but they are wonderful with kids. They do not show a lot of affection openly, but they are very loyal and devoted to the entire family. 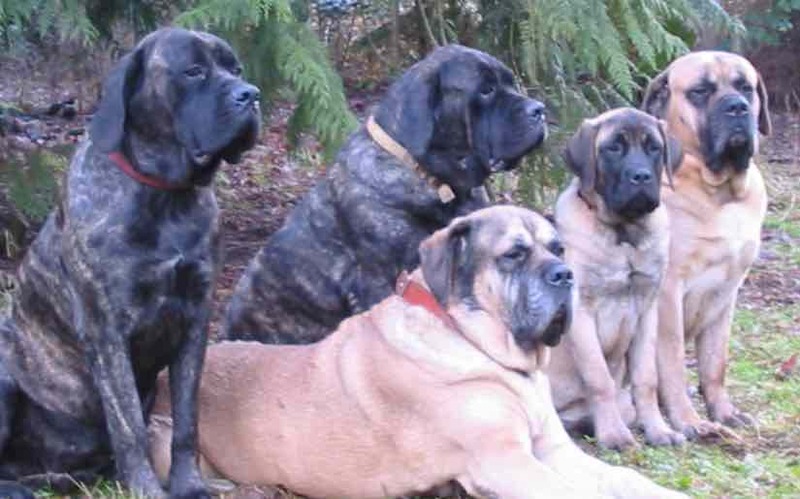 Unlike some breeds that are one man dogs that are loyal to one or two members of the family; the Mastiff seems to know who the family members are and are loyal to the whole family. They are protective of the family, especially with strangers. If a stranger comes to their home, often the Mastiff will place itself between his family and the stranger. They stay that way until their master gives some indication is the visitor is a friend or not. With their massive size, (many are over 200 pounds), there aren’t very many people that would want to cross the boundary line without them allowing it. The Great Dane, also known as the Apollo of dogs, is a giant dog breed. The Dane is German in origin, not Danish. The breed is thought to have been around for more than 400 years. 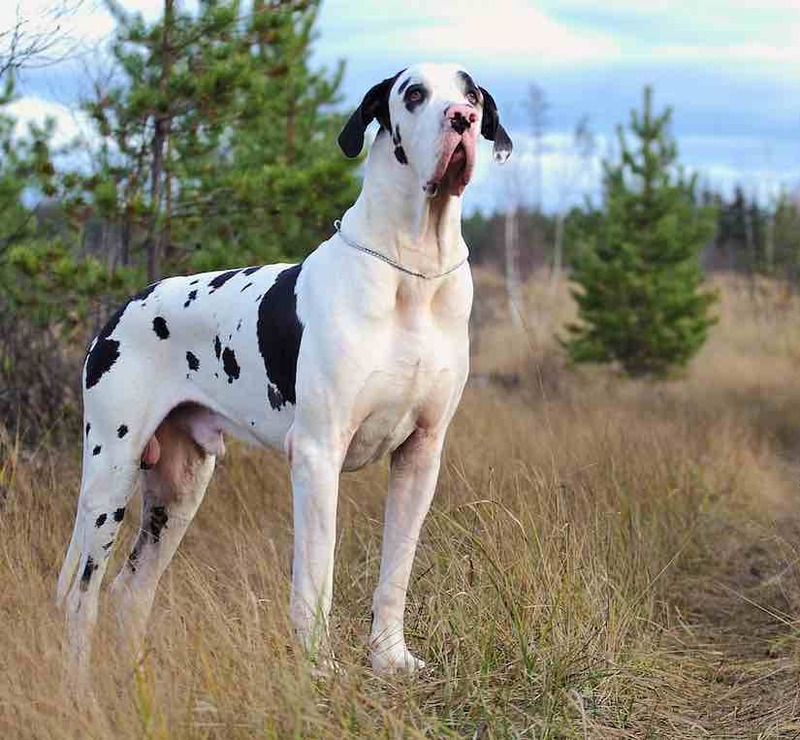 Great Danes descend from mastiff-like dogs that were bred by German nobility to protect country estates and hunt wild boar. Irish wolfhounds have a heart as big as the rest of them. They are gentle, noble, sensitive and easygoing. Despite the fact that they can run at great speed, most of their actions around the house are in decidedly slow motion. Just under the surface of their gentle exterior does lie the nature of a coursing hunter, so Irish wolfhound owners must be vigilant when outdoors. Like all sighthounds, Irish wolfhounds love to chase animals that are running away from them, and they can take their time responding to your calls to come back. 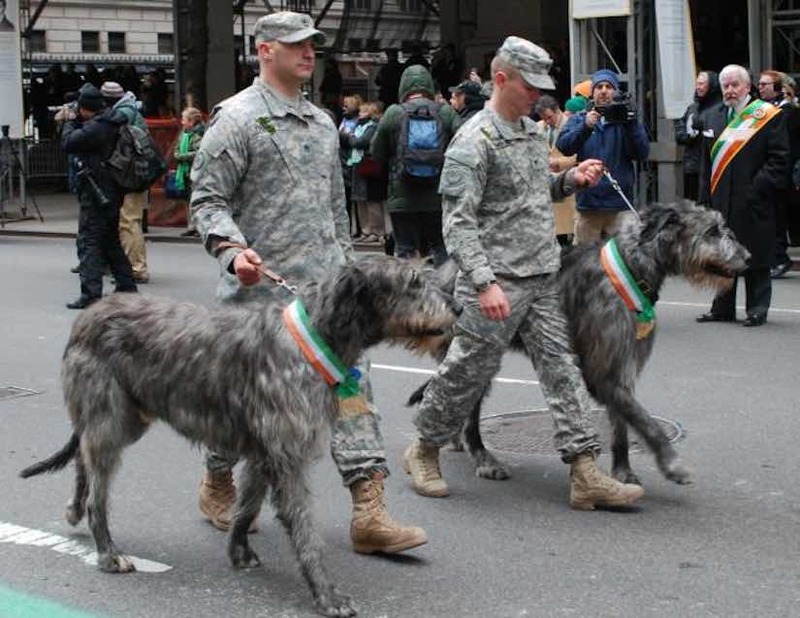 Yet Irish wolfhounds are generally model citizens with other dogs, pets and children. Their great size is usually enough to scare away intruders. However, they will not attack. Male Saint Bernards can grow up to be really huge dogs. The Saint’s large size and thick coat helped him to rescue stranded travelers in the snowy Alps and take them to the Saint Bernard hostelry where they could be cared for. Now he spends his days snuggling with family members and keeping their hearts warm. Saint Bernards stand 25.5 to 27.5 inches tall and weigh 130 to 180 pounds. 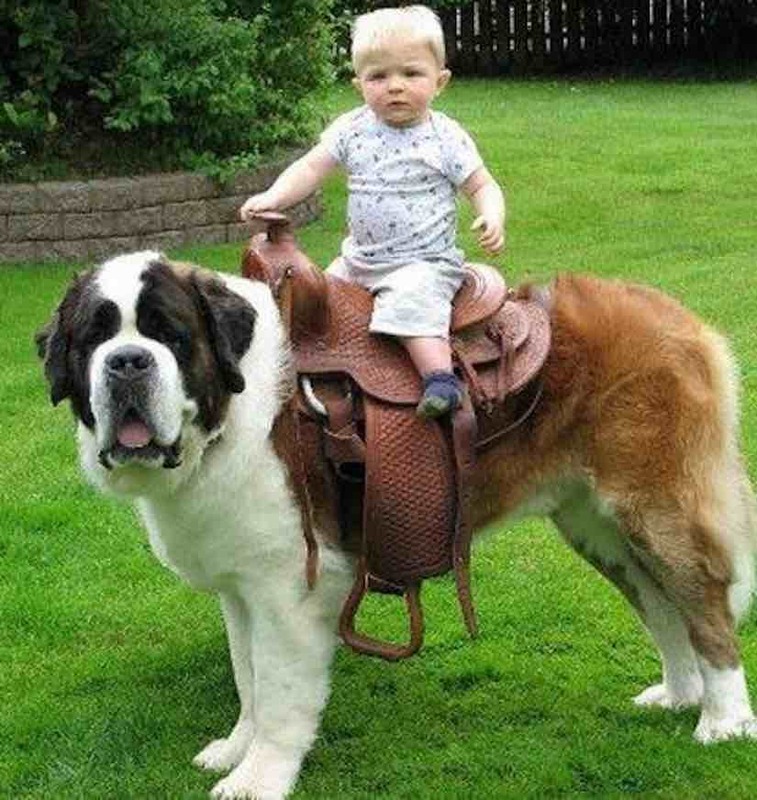 Saint Bernards are gentle giants and good with kids too. Male Newfoundland dogs can grow up to a massive size. The water-loving Newfoundland originally hauled in nets for fishermen, which often required swimming long distances, pulling heavy loads, and rescuing people at risk of drowning. Among his distinctive characteristics are a massive head, webbed feet and a water-resistant double coat. Males have an average height of 28 inches and weigh 130 to 150 pounds. Females average 26 inches and 100 to 120 pounds. The Tibetan Mastiff impresses with his size, which is accentuated by his broad head and thick coat and mane. He is a family and property guardian who is aloof toward and watchful of strangers. 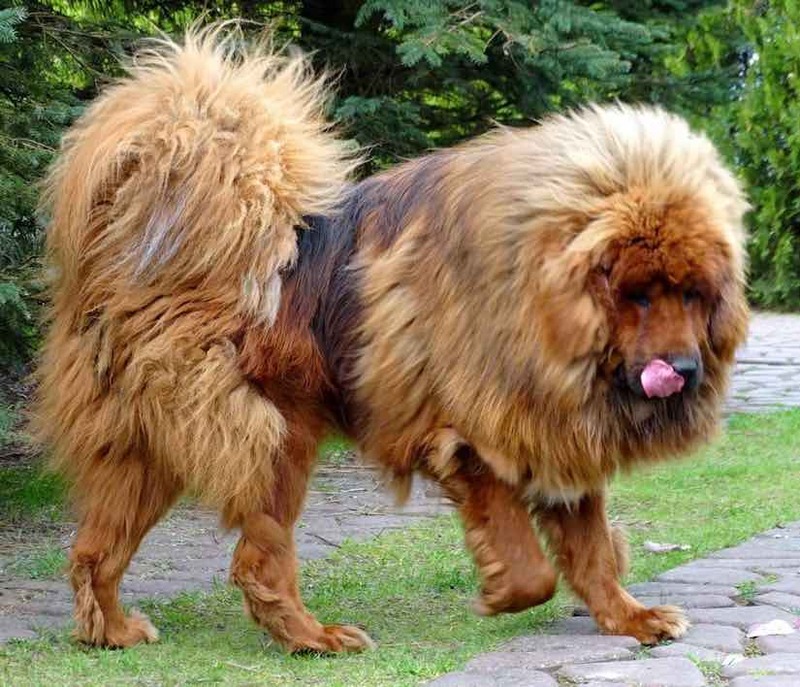 Some Tibetan Mastiffs are cross bred with Saint Bernards and Newfoundland for enhanced size. First born males from such litters can be truly massive in size. Tibetan Mastiffs are slow-growing and may not reach their full size until they are 3 to 5 years old. 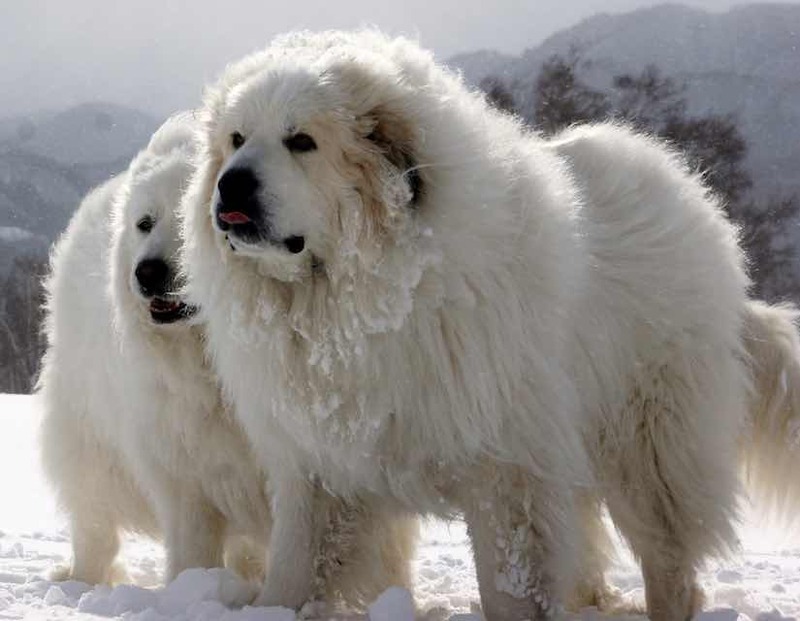 A flock guardian of French origin, the Great Pyrenees is distinguished by a thick, beautiful white coat. The breed once guarded the king of France and is still territorial in defense of family and property.